We love the Ritz Carlton Pudong, in Shanghai. This impressive looking building towers over the Shanghai skyline. Distinguished business amenities mix seamlessly with 5 star luxury. 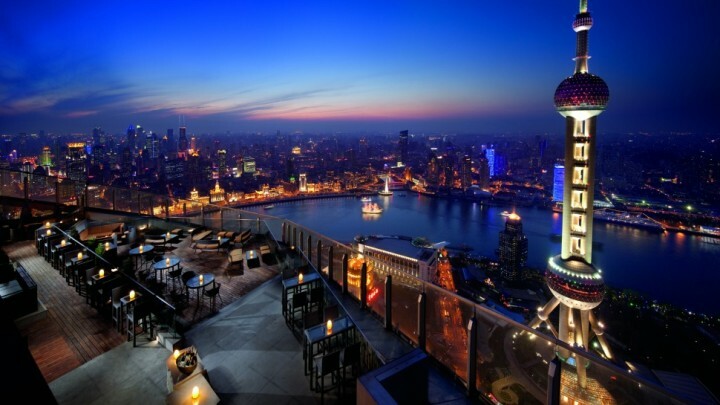 This hotel also houses one of the Jewels of Shanghai ‘Flair’ situated on the 58th floor. This open air bar and restaurant gives you spectacular views of the Bund as the Oriental Pearl TV and Radio tower stands proudly illuminated before you. It really is one of the best views in Shanghai, in the age of the selfie, you really shouldn’t miss the opportunity of taking one from the 58th floor! #Tip The Sushi and Bellini’s are a combination hard to beat.